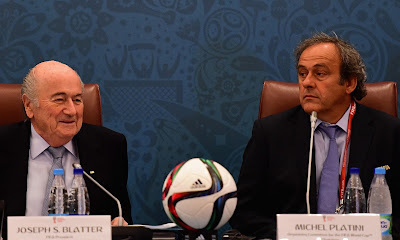 World football governing body FIFA has rejected a bid by longtime FIFA president Sepp Blatter and UEFA chief Michel Platini to overturn their 90-day suspensions while Swiss police pursue a criminal investigation. The committee said it had “rejected in full” the appeals made by Blatter and Platini. Both were suspended for 90 days on October 7 after Swiss prosecutors launched a “criminal mismanagement” inquiry against Blatter who made a one million dollar payment to Platini in 2011 for work carried out a decade earlier. The suspension has been a severe blow to Platini’s hopes of winning a FIFA presidential election in February.